Pasturization – Pasteurization destroys the enzymes needed to digest the milk. Milk is a living food, teaming with beneficial microbials which help prevent infections. By cooking the milk, these microbes are destroyed as well as many of the nutrients in the milk. Problems from drinking pasteurized milk include lactose intolerance, food allergies, childhood ear infections, arthritis and osteoporosis. Pasteurization destroys enzymes, diminishes vitamin content, denatures fragile milk proteins, alters vitamin B12, and vitamin B6, kills beneficial bacteria, promotes pathogens and is associated with allergies, increased tooth decay, colic in infants, growth problems in children, osteoporosis, arthritis, heart disease and cancer. Heat alters milk’s amino acids lysine and tyrosine, making the whole complex of proteins less available; it promotes rancidity of unsaturated fatty acids and destruction of vitamins. Vitamin C loss in pasteurization usually exceeds 50%; loss of other water-soluble vitamins can run as high as 80%; the Wulzen or anti-stiffness factor is totally destroyed. Pasteurization alters milk’s mineral components such as calcium, chlorine, magnesium, phosphorus, potassium, sodium and sulfur as well as many trace minerals, making them less available. There is some evidence that pasteurization alters lactose, making it more readily absorbable. This, and the fact that pasteurized milk puts an unnecessary strain on the pancreas to produce digestive enzymes, may explain why milk consumption in societies that drink pasteurized milk has been linked with diabetes. Pasteurization destroys all the enzymes in milk — in fact, the test for successful pasteurization is absence of enzymes. These enzymes help the body assimilate all bodybuilding factors, including calcium. That is why those who drink pasteurized milk may suffer, nevertheless, from osteoporosis. Lipase in raw milk helps the body digest and utilize butterfat. 1) The Columbia Encyclopedia, Sixth Edition. 2001. Feed – Feeding dairy cows large amounts of grain changes the fat make-up of the milk, leading to an imbalance of fatty acids in our diet. Milk from grass-fed cows – without grain supplementation – contains large amounts of omega-3 fatty acid as well as CLA (conjugated linoleic acid). Many studies have shown increasing our intake of both these acids helps prevent and even begins to heal many health problems faced today, including heart disease, diabetes and many cancers. Not surprisingly, both of these fatty acids are largely absent from the milk of grain-fed cows. So we can conclude, it is not the milk that is the problem, but the processing and diets of the cows. Processing changes the milk from what is normally a healing food into a killer. The real difference between pure, unadulterated milk and pasteurized counterfeit can easily be seen at home when it ages – real milk will sour and still be edible (sour cream, yogurt, etc. ); processed milk rots. As many of you know, here at Willow Hills, our primary mission is to provide wholesome and healing food to our family and yours. However, sharing our milk with folks until now has not been possible. Since state and federal regulations prohibit the sale of pure, unadulterated milk which heals instead of kills, the only way for folks to get this wholesome milk is to own their own cow or goat. Since we want you to benefit from cow/goat ownership as we do, we are now making that possible by selling shares in our cows & goats. Here is how it works. 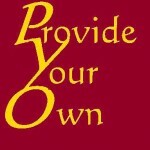 You first purchase shares in one of our cows and/or goats according to your needs. You then pay us to board, care for and milk your portion of the cow or goat. In caring for your animal, we will move her onto fresh pasture every few days, feed high quality hay when pasture is unavailable, provide positive health management and if needed veterinary care, and milk her regularly. Just let us know if this program interests you, and we’ll give you more information on how you can be a cow or goat owner without the hassles of tending an dairy animal yourself.